Hello everyone. I have a following question regarding the BMCC integrated battery. Counting with only 90 minutes of battery life may be a problem depending on what type of job you're working on, an a 2 hour pause not using the camera for charging probably will become a problem in most part of the productions i'm planing to use the BMCC in. So, it would be nice to hear from you how you're all planing to work with this minor limitation, and also if Blackmagic is planing to review this concept of non replaceable battery. BMCC has a 12-30v power input. It means that you can plug several kinds of batteries to power up the camera meanwhile you charge the internal one. http://www.switronix.com/products/batte ... gory_id=50 switronix, for example has this. I suppose lots of batteries will be compatible with this camera. This is something BMD said since they announced the camera. I hope it clarifies yourself. Personally I don't see any problem with internal battery. I've seen a lot of people concerned about "only" 90 minutes internal battery, seeing it as a limitation. It's really, really not. Other pro cinema cameras such as RED or Alexxa don't even have that and are all run off external batteries such as anton bauer or V-locks. The fact that it even has the 90 minutes is a great bonus. I plan on keeping that 90 minutes solely as a backup in the very unlikely case my external batts run out on a REALLY long days shooting. yeah, it's something I really don't understand why is everybody complaining about the battery. I guess is people from DSLR shooting who are used to replace batteries when they're off. I can't believe people haven't already seen this feature. Anyway I hope this is the minus problem. The BMCC's built-in battery is a fantastic feature! My understanding is that it's like having an uninterruptible power supply inside the camera. It allows you to use the camera with or without the included AC power adapter, or use it with an optional external battery (or a car cig lighter socket adapter), or switch among them at any time, even when the camera is rolling and not skip a beat. 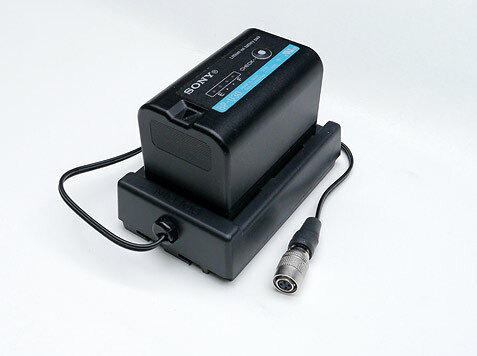 When the BMCC is connected to an 12-30VDC external power source that outputs more power than the camera requires to operate, the camera automatically charges its internal battery. Just like a modern laptop computer or cellphone. I wish all cameras worked this way! And when the BMCC's internal battery eventually dies (all batteries eventually die), BMD has announced a relatively inexpensive replacement service charge (I believe it's $80 in the US). However, if any of the above is incorrect, hopefully someone from BMD or one of the lucky review unit testers will reply here. Peter J. DeCrescenzo wrote: The BMCC's built-in battery is a fantastic feature! My understanding is that it's like having an uninterruptible power supply inside the camera. yeah nobody doubts it is an awesome feature, we agree with that. We're asking what happens if battery fails if camera can be turned on by other sources or if replacement is possible. Jesuan wrote: yeah nobody doubts it is an awesome feature, we agree with that. We're asking what happens if battery fails if camera can be turned on by other sources or if replacement is possible. If the battery fails (which it shouldn't), it can still be powered by either an external battery or an additional powersupply. It is a replaceable battery but much like an iPhone we have to do it here. We are basically just passing on the cost of the battery at like 80 dollars (something close to it, I can't remember off the top of my head). it's nice to hear you still can use the camera with external power even if interl one fails. Some electronic products can't do this..so it's a great feature, though a failed battery it's not nice...but anyway plug in an external battery to power it up is just like on the other professional cameras...so no problem here!!! Yup, or just keep your external battery plugged in and when it runs out you have 90 minutes to find a replacement, or charge it. Wonder if there is a very small type of battery.. more for a run and gun style of shoot..
AndiDieMaus wrote: Wonder if there is a very small type of battery.. more for a run and gun style of shoot.. I'd love a smaller battery, maybe something that could attach to the bottom, like the batter packs available for 7D's etc.. This is a great option especially if you already have the BP-U60 Sony batteries. This solution is very small, and the batteries give you a level readout via a button. Each of these batteries power my Sony EX1 camera for well over 3 hours. I would think pretty similar results with the BMCC. Just curious as to how the Switronix Powerbase-70 works exactly. Does it connect to the bottom of the BMCC with the external battery being connected on the other side via a v-mount? Also, if you are starting off new, I'm guessing you will need to by the battery pack to mount on the camera, as well as new batteries and external chargers for these batteries. Is that correct? As you say it yourself... they are PRO cameras. If you have the budget for an Epic, an additional $1k for a set of Anton Bauers does not matter at all. If you are Indie or No-Budget, this may already be too much. Besides, this camera is not really a Pro-Camera. And even if, almost all cameras come with exchangeable batteries for more then 30 years. And the Epic has a whole array of different exchangeable battery-modules and options. So the BMCC battery is not only an inconvenience, but also a non-standard. Whatever you have to buy additionally, lowers the overall awesomeness of this camera. No fanboying will change that. Blackmagic could have made a smart compromise by turning the battery-part into an external piece by itself, instead of leaving inside the main body. Maybe as detachable base, that can power via cable. That way, it would have been basically the same thing, but with a ton more option and even additional revenue through additional sales. Patrick S. Marshall wrote: ... Blackmagic could have made a smart compromise by turning the battery-part into an external piece by itself, instead of leaving inside the main body. Maybe as detachable base, that can power via cable. That way, it would have been basically the same thing, but with a ton more option and even additional revenue through additional sales. They could have, but my guess is that would have made the BMCC more expensive or larger or both. The price of the BMCC is very much the result of its form factor and configuration. Change any single element, and the price and/or size would go up. Heat management, especially, is a critical design constraint. I'm not saying it couldn't be done -- obviously other cams use removable batteries -- but doing so would have a cost. Assuming BMD wanted to keep the cam's price at $3K US, apparently a removable batt, together with all the BMCC's other features, wasn't possible at that price. Peter J. DeCrescenzo wrote: The price of the BMCC is very much the result of its form factor and configuration. Change any single element, and the price and/or size would go up. Heat management, especially, is a critical design constraint. In which case, they could have left the battery out all together and lower the price a bit. The battery is redundant, except if you only use it where you have power outlets. So instead of including a useless piece of tech, leave it out. And I see no way why the battery could not be outside. a 1/5-1/2 inch thick base would not make much difference with the form factor. Since it is completely new design, this can not be a reason, because they could have changed the look anytime they wanted. I hear that you think the BMCC's built-in battery is "useless", but for many people, including me, it's not. We think it's a fantastic and very useful feature. Instead of complaining about it, we plan on taking advantage of it frequently. Further, BMD has said repeatedly that making the BMCC relatively easy to use was a high priority for them, and they obviously went through the trouble to include a built-in battery and an input for external power as part of the design. It is what it is. And for many people, what it is, is great. However, it's OK if you disagree. It's all good. Last edited by Peter J. DeCrescenzo on Sun Sep 09, 2012 9:56 pm, edited 2 times in total. Patrick S. Marshall wrote: In which case, they could have left the battery out all together and lower the price a bit. The battery is redundant, except if you only use it where you have power outlets. So instead of including a useless piece of tech, leave it out. It's a hotswap reseve so that you can swap an external battery if you're doing a long take and need to swap while still recording. It allows you to shoot with a naked BMCC for 90 mins. On the Alexa I use both a block battery and a v-lock battery when on a tripod. The V-lock acts as a reserve if the block battery runs out, it makes it possible to hot swap and it makes it faster to move the camera as I can leave the block battery behind. If the DOP wants to shoot handheld I can just unplug the block battery attach the handcamera and run it of the v-lock battery with no rebooting. Everything that the v-lock does in the examples above the internal battery on the bmcc does. The nice thing the internal battery does that the v-mount on a Alexa doesn´t do is charge when you plug it into a block battery. If you shoot handheld with the internal battery you could just plug it into a block battery between takes and that way have a smaller lighter camera without the need of a external battery on the rig.